Bright Kids Crabbs Cross held its annual MacMillan Big Coffee Morning on Monday 13th October and raised £80 in support of the cancer charity. Children and parents joined in with cake making and craft activities and a fun morning was had by all. 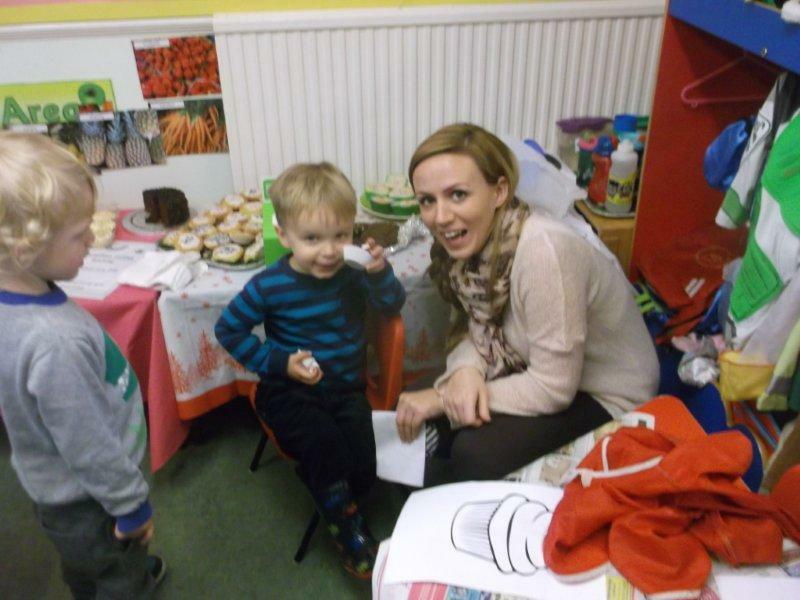 Pictured are Jacob Brooks (3) with his mum Sophie Matthews and Frankie Rose (3), enjoying their cakes.